Detail: The Blue Sleigh by Sarah Robertson. Sarah Robertson sketching outdoors, n.d.
Health and financial issues limited Robertson’s output to three or four canvasses a year. She remained an active and respected member of the arts community, joining progressive groups like the Contemporary Arts Society and Canadian Group of Painters. Many arts organizations and schools in the 1920’s and 1930’s were men-only. This above all: to thine own self be true was the motto she shared with close friend and painting colleague Prudence Heward. Intermittently, from 1909 to 1924, Robertson studied with William Brymner and Maurice Cullen at the Art Association of Montreal. A gifted student, she was encouraged by Brymner to embrace contemporary art and self-expression. Robertson became part of the new Modernist movement in Canada, a style well-developed in Europe since the early 1900’s. The idealized subjects and precise renderings of conventional paintings gave way to abstract forms, bright colours and expressive brushwork. New styles like the Fauves, Surrealists and Cubists rocked the art world. ​A.Y. 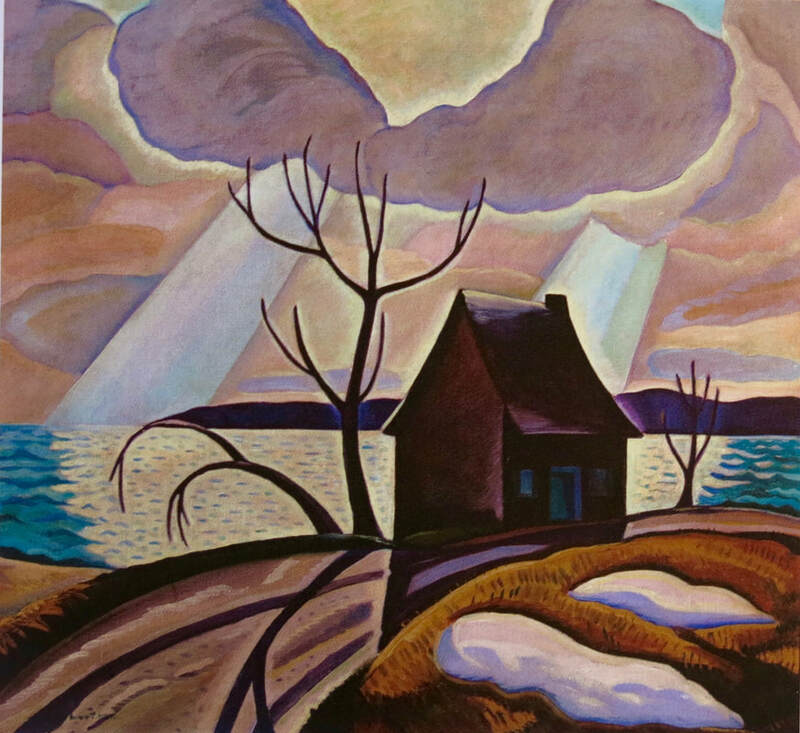 Jackson, member of the Group of Seven, was invited to be president and publicity person for Beaver Hall. The men and women in the Beaver Hall Group shared studio space in the rambling hall. Rejected by main stream museums and galleries, their first exhibition promised quality artworks with original style and emotional resonance. Robertson joined in time for their second and successful exhibition in 1922. Her artworks were well-received in Montreal reviews. A.Y. Jackson noted The Blue Sleigh (top right) and On Lake St. Louis (top left) helped define modern art in Canada. ​Robertson’s courage in creating original landscapes was praised by Group of Seven member Arthur Lismer. Pink Tulips, Oil on wood panel, 56.3 x 46 cm (22x18 in) 1936. Eastern Townships, Oil on panel, 29.2 x 34.4 (11x14 in) n.d.
Spring in the Orchard, Oil on panel, 29.6x 34.6 cm (12x14 in) n.d. The Artist Herself : self-portraits by Canadian historical women artists, Editors, Alicia Boutilier & Tobi Bruce. 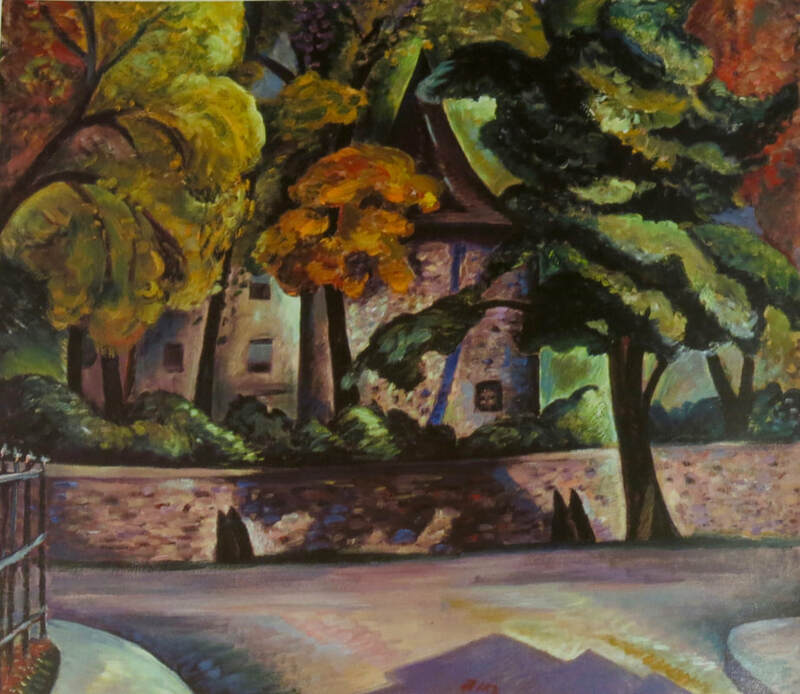 The Beaver Hall Group and its Legacy by Evelyn Walters. The Women of Beaver Hall : Canadian modernist painters by Evelyn Walters.